I found these on the hard drive of my back up pc, they may be of interest to someone...assembly instructions for the Dumas (I think?) USS Bluefish kit. If anyone would like a higher resolution image, by all means ask and I'll email you the full size versions. "If anyone would like a higher resolution image, by all means ask and I'll email you the full size versions." I am Interested to study these sub.Do You think You can find some spare time to send me those plans , full size versions?. Also if You have by accident some Photos with real sub whould be great. I think You have my email adress. Of Course ....Take Your Time.....I am not setting in the water!!!. OK .I have them now. But is seems to me there are to small to be enlarge at the printing machine. THANK YOU SIR and Have a Good Knight. May I get a copy? Thank you. 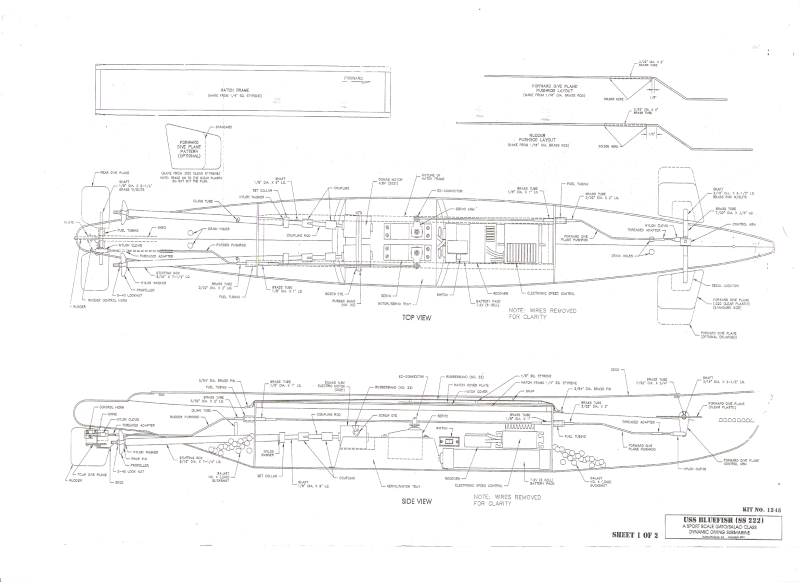 I have just become the owner of a hull and fittings of a (I think) 1/96 scale shipyards USS Sturgeon sub. 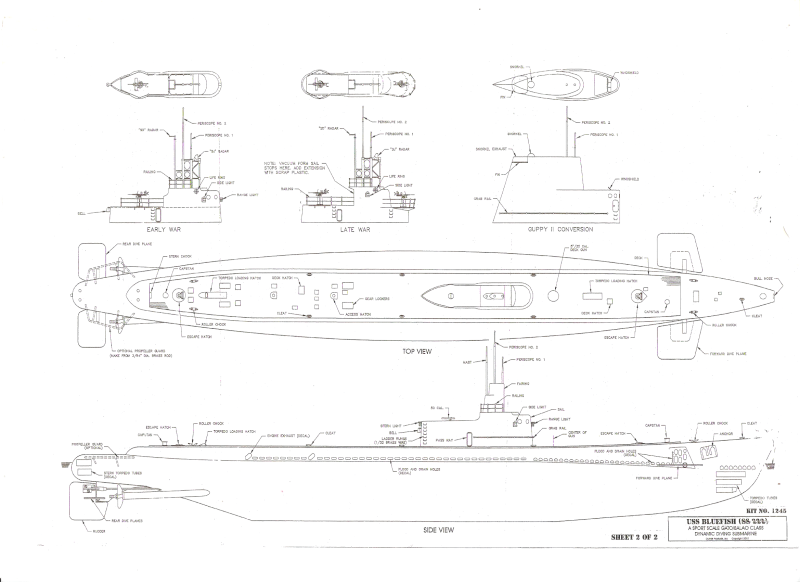 I dont have a set of plans and cant find anyone who sells them, is the Bluefish a Sturgeon class or a different class of sub? Tom(ADMIN) wrote: I found these on the hard drive of my back up pc, they may be of interest to someone...assembly instructions for the Dumas (I think?) USS Bluefish kit.